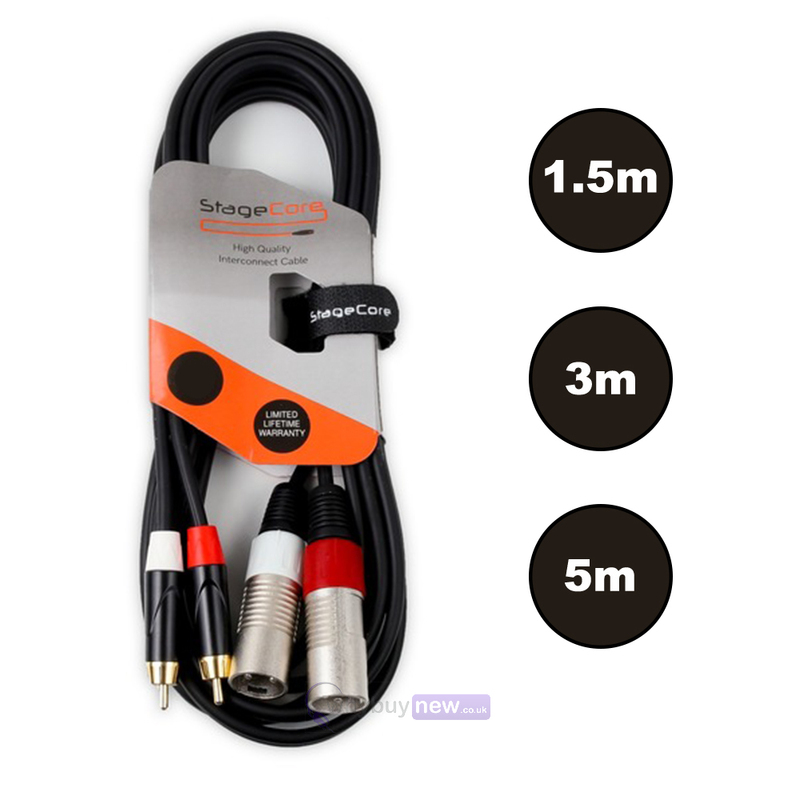 This cable is available in 1.5m, 3m and 5m lengths - choose your preference via the drop-down list. 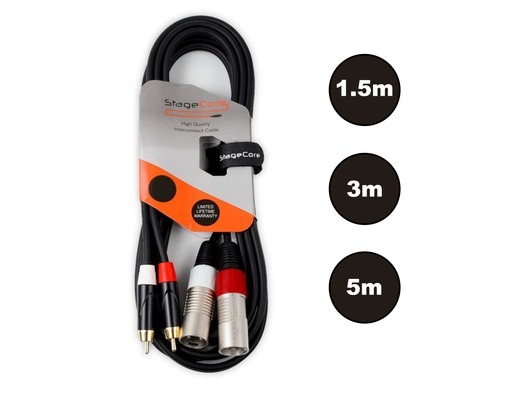 The StageCore 2x Male XLR- 2x Male RCA Phono Professional Audio Signal Cable is a high quality black interconnect cable featuring two Male XLR connectors and 2 Male RCA phono plugs. 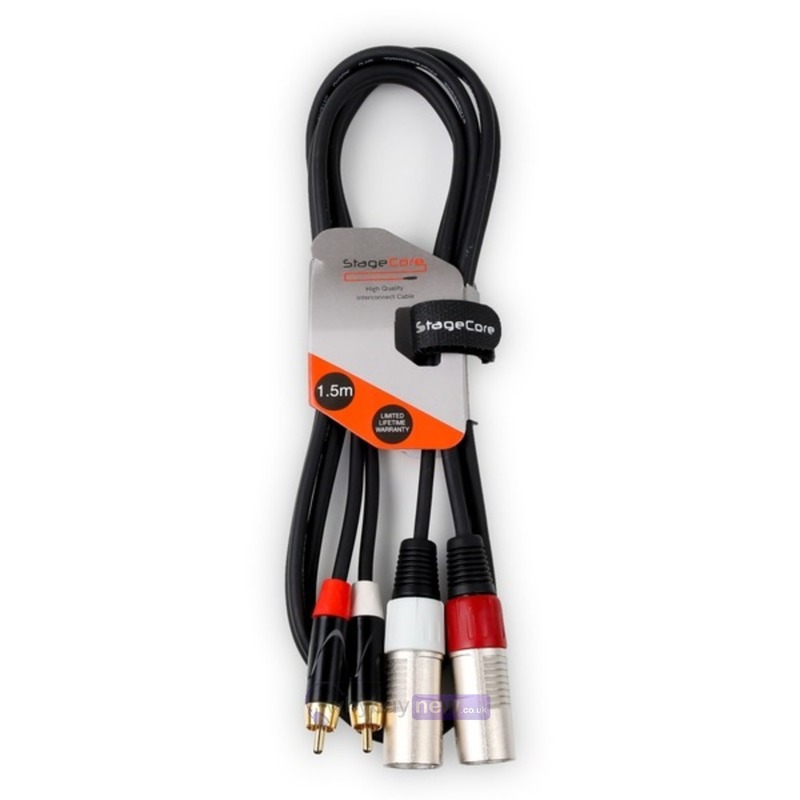 Perfect for a wide range of studio, home and live applications.